Company is a clean and responsive html template for corporate, business and company websites. This theme also good for portfolio and any kind of websites. 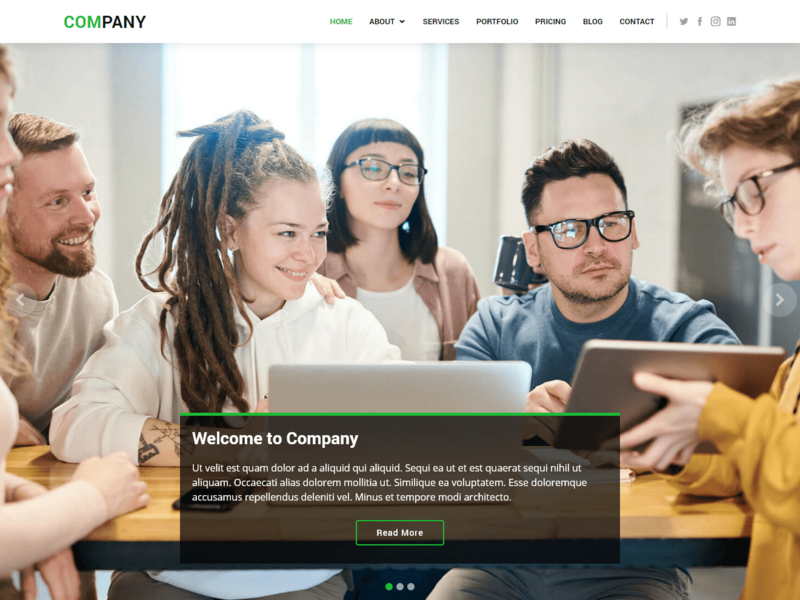 Company bootstrap template built with responsive Bootstrap 3.3. You can viewing the website on a big or small screen, laptop, tablet or phone it will always look great. Just put your info and Company will take care of the rest.